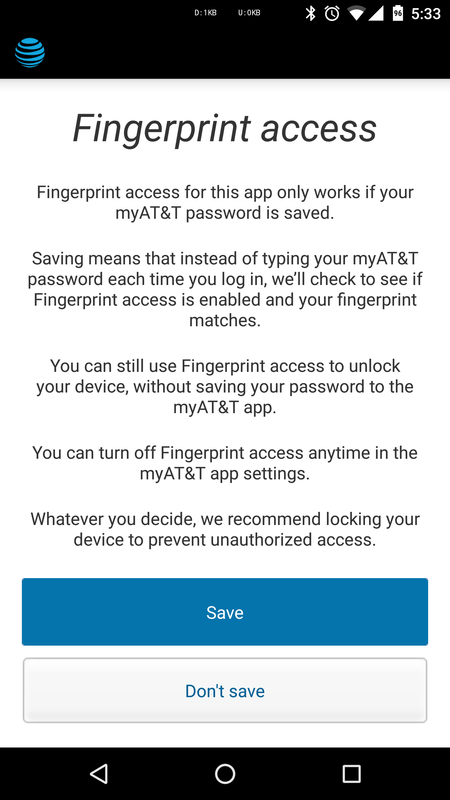 You asked and they answered: AT&T has finally added fingerprint support to its myAT&T app, providing an extra layer of security to your mobile phone, landline, or internet billing app. 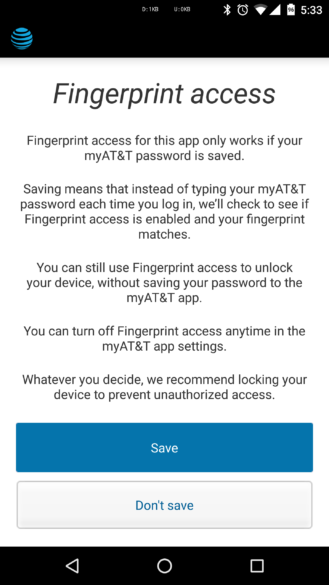 This will only work if your myAT&T password is saved, however; as is normal, fingerprint access can be turned on or off in the app's settings at any time. We’ve listened to your feedback. 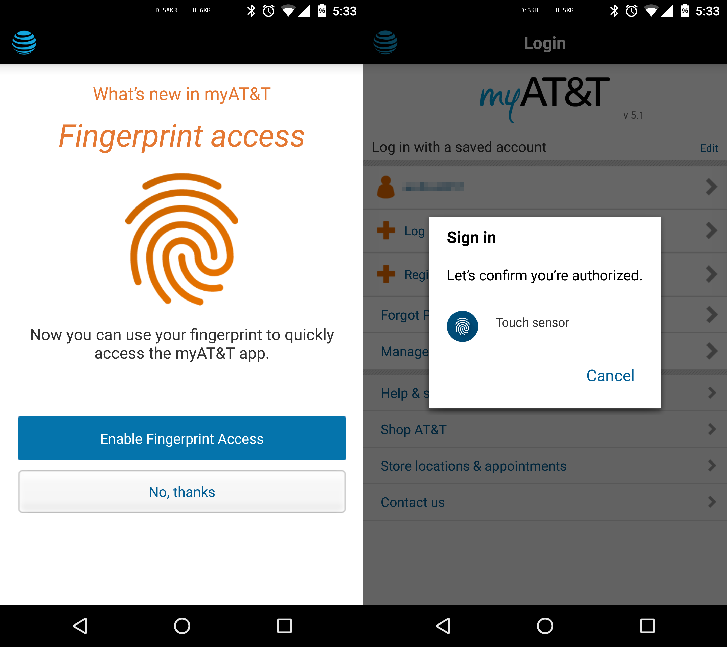 You can now use your fingerprint scanner as an extra layer of security for the myAT&T app (supported devices only). 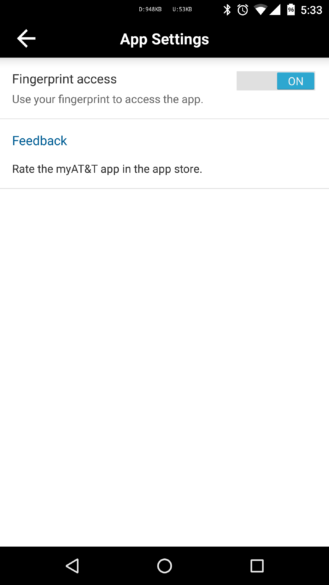 myAT&T requires an active AT&T account that is registered for online account management. myAT&T does not support Premier business accounts or GoPhone/Prepaid accounts. Other new things in the v5.1 update include the AT&T THANKS program. This enables the viewing of rewards, benefits, and perks through myAT&T, which isn't the most exciting thing in the world, but presumably welcome for at least some AT&T users.